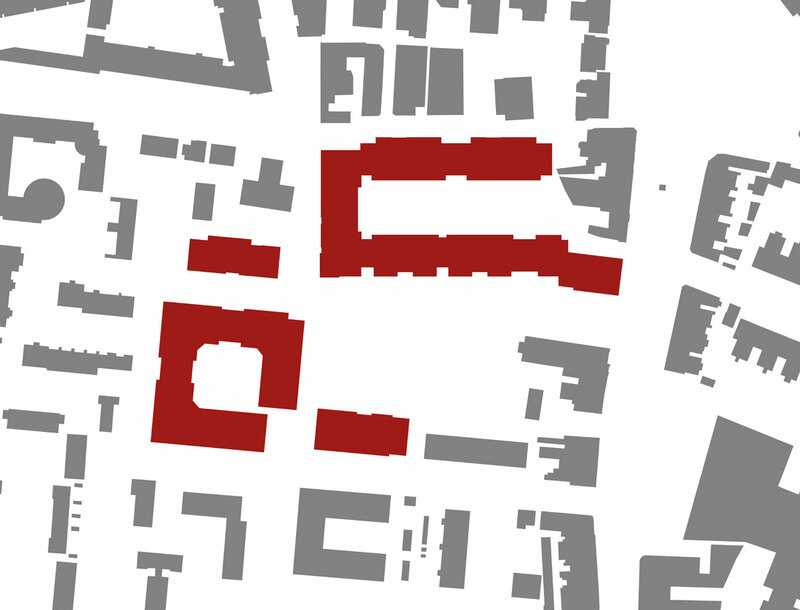 The site has an historic connection with water works and water provision including a Victorian public baths; the remains of which are still on site.The new urban design strategy provides maximum residential capacity and retail opportunity underpinned by improved pedestrian permeability - not possible with the former enclosed water works. 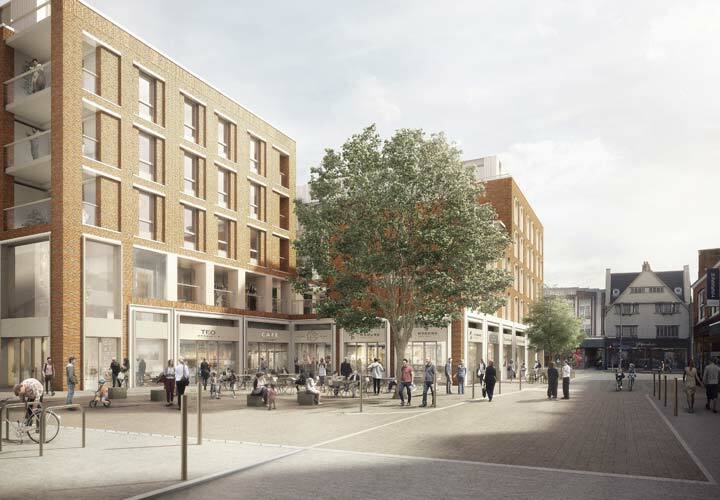 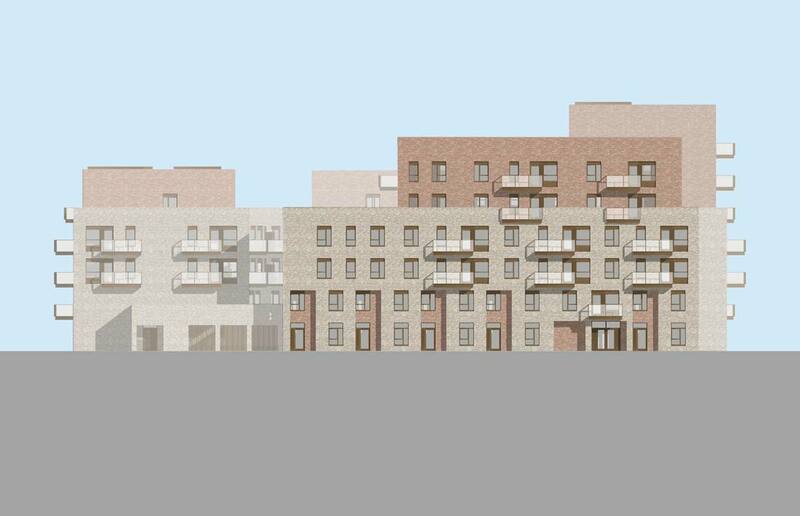 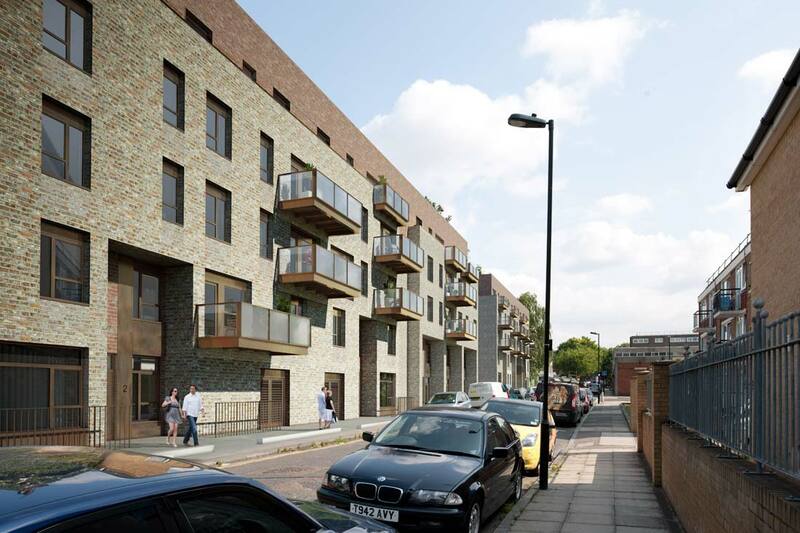 The Hornsey Depot redevelopment is in two distinct parcels; a 3-8 storey courtyard residential building and a mixed use perimeter block over a single storey Sainsbury’s food store. 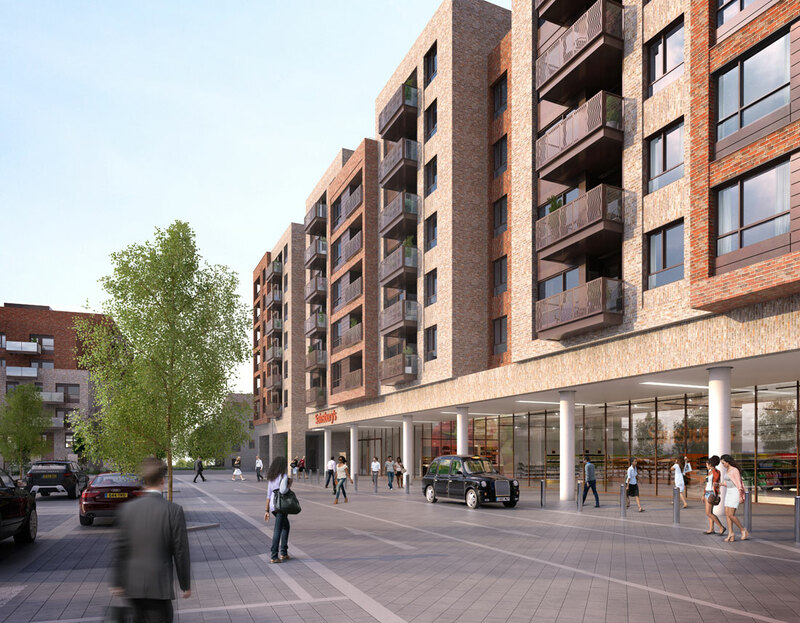 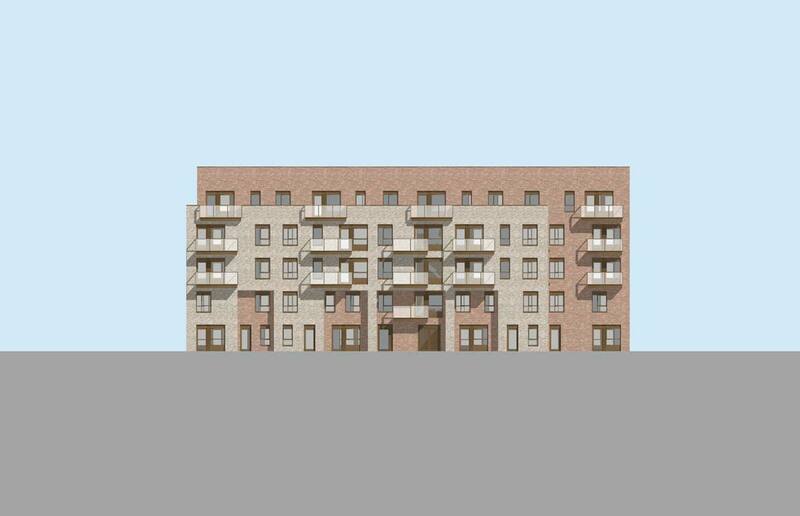 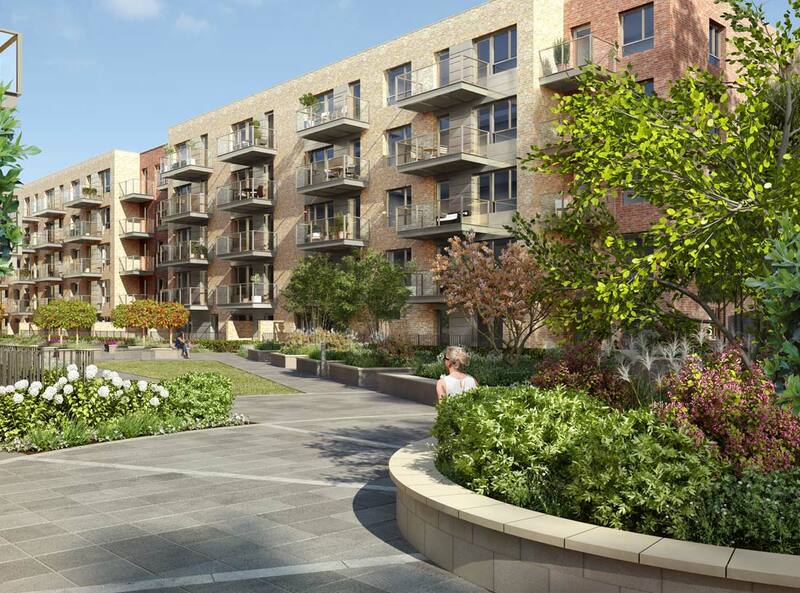 The proposal will deliver 438 private and affordable dwellings, 3,700 sqm of retail and private and retail car parking. 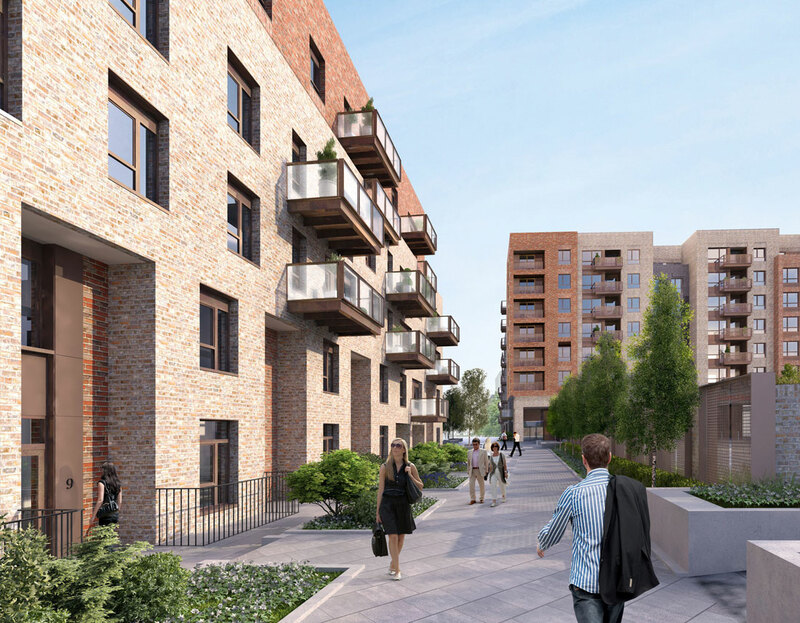 Three areas of architectural character have been established by the location; High Street, The Moselle Quarter and Hornsey Gardens. 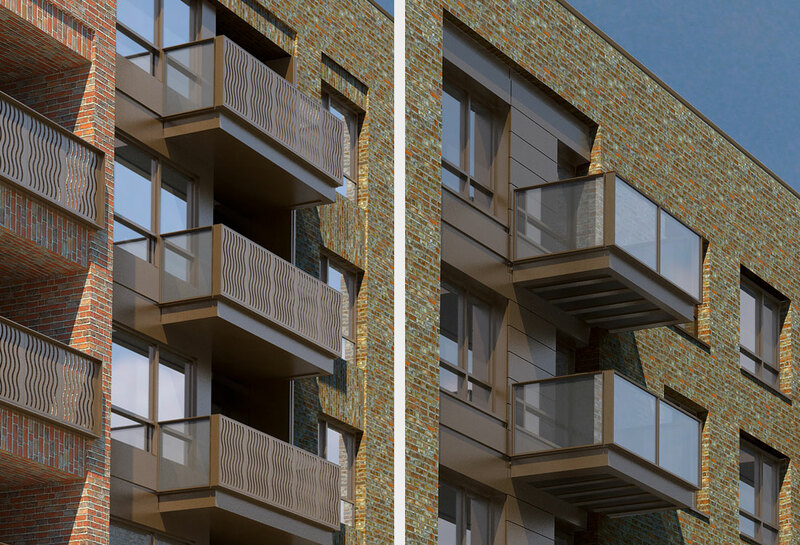 All three parcels incorporate a simple London brick architectural language combined with a material palette of contrasting colours and high quality metals. 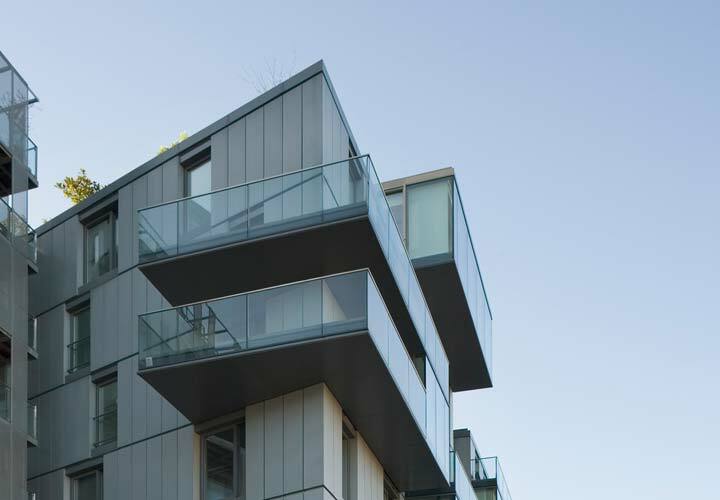 A memory of the winding River Moselle can be seen in the metal work design for balconies. 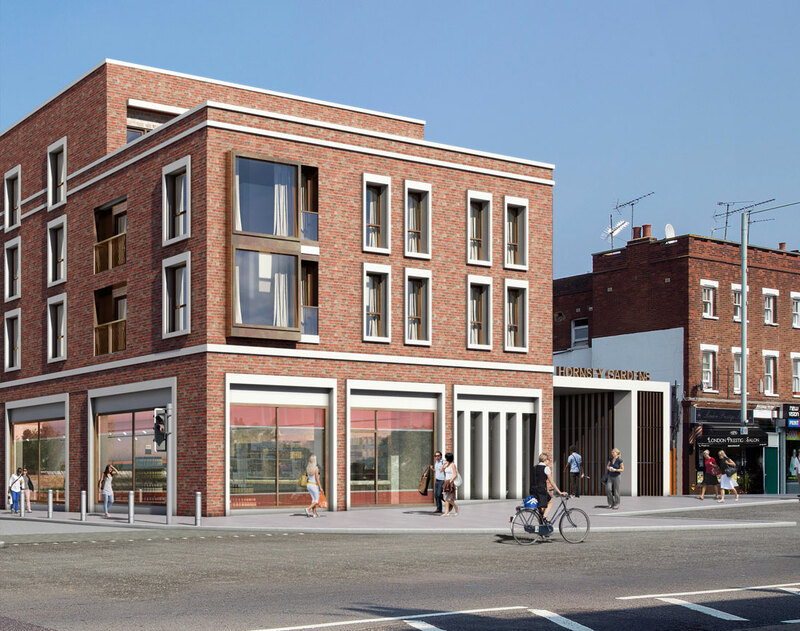 Access to the residential areas above the food store is by a lobby either end with the prime entrance located on the High Street in a courtyard adjacent to a simple three storey brick mass. 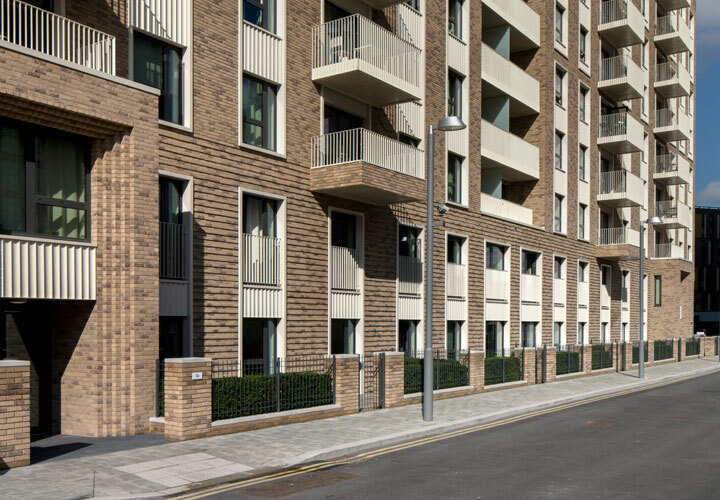 This mannered architecture gives way to a stripped and more rationale expression of geometric volumes and well proportioned openings. 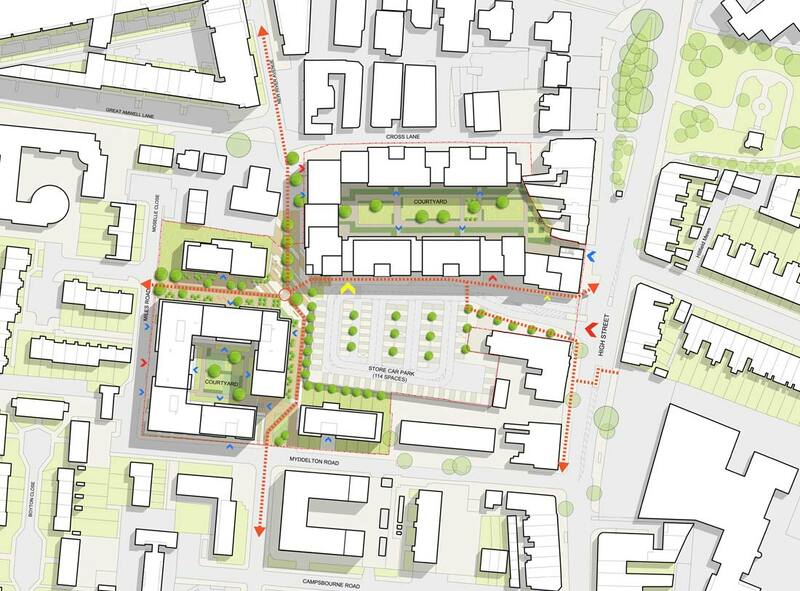 While much of the external area is a retail car park a new public realm design by Schoenaich will define the new pedestrian routes and amenity areas.